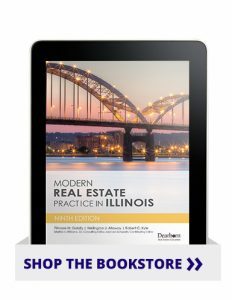 This revised latest edition of Modern Real Estate Practice in Illinois is designed to meet the specific prelicensing requirements in Illinois. The book reflects the most recent legislative changes and new practices in Illinois. Students will benefit from complete coverage of popular topics such as financing options, short sales, and foreclosures. This text contains everything a prospective licensee needs to become regulatory compliant in Illinois.